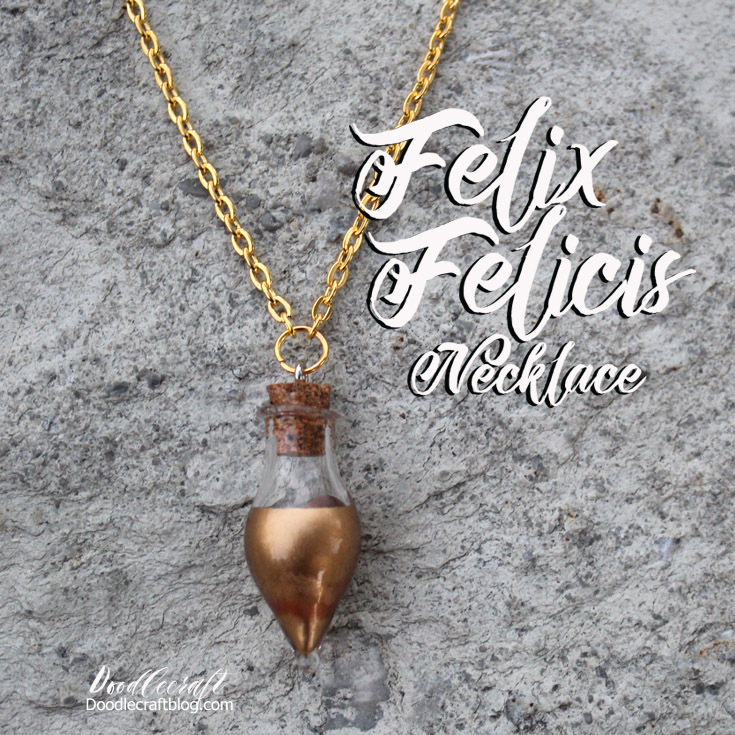 Doodlecraft: DIY Felix Felicis Liquid Luck Necklace! Harry Potter Week! DIY Felix Felicis Liquid Luck Necklace! Harry Potter Week! DIY Felix Felicis Liquid Luck Necklace! That's right, it's Harry Potter week on my blog! with an extravagant party on Friday! 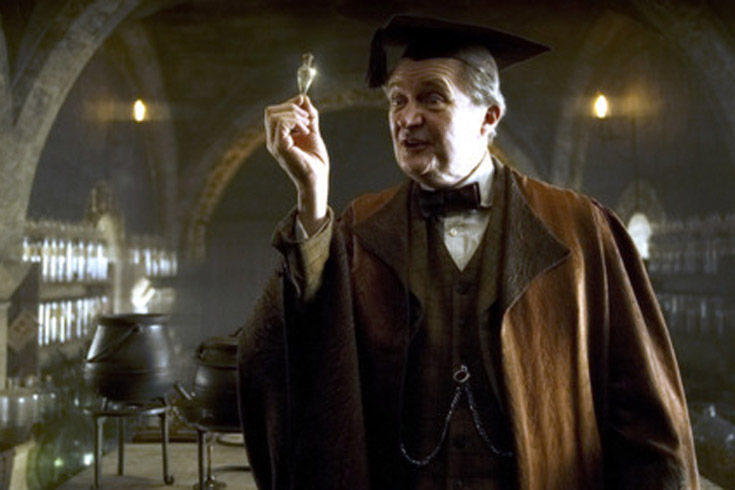 I wanted to do the Felix Felicis as a necklace. Harry, one cool tear drop shaped phial of it! Upon all my research, many of them are filled with glitter or olive oil. I didn't want oil in case of leaking...and I didn't want glitter because it needs to be liquid, right!? I found the perfect little BULB corked potion bottles at Oriental Trading Company. They sent these to me at no cost for this tutorial! I used some Liquid Leaf...it's like Liquid Luck for Muggles. It is amazing...but can separate, so there are some color inconsistencies in the potion vials. It is not water based. I also used a syringe and a blunt "needle" for crafting. And a chain and jump-ring. Shake up the liquid leaf and draw some into the syringe. Put the syringe deep into the phial and release a couple of drops. Then swirl it around so it will just coat the inside of the jar. in it rather than it just being painted all gold. Then find something to put it in so it can dry. Do not cork it yet. Hook a chain and a jump-ring onto the screw eye in the cork. Wear and enjoy fabulous amounts of luck! Come back tomorrow for more fun Harry Potter projects!